NEW BRUNSWICK, New Jersey -- Joe Piscopo's Frank Sinatra impression, made famous from his days on "Saturday Night Live," has gotten an update. It's no longer "New York, New York," but "NJ, NJ," the actor, standup comic and potential 2017 Republican candidate for governor is now crooning. Piscopo performed the updated song - lyrics included "my New York and Philly blues are melting away" - at a recent charity event for the Boys and Girls Club in New Jersey, where his flirtation with running for governor to succeed incumbent Republican Chris Christie when his term ends in 2018 is out in the open. It's no joke, he said. 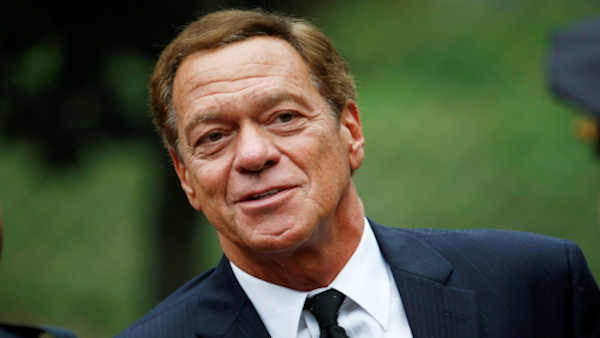 Piscopo, 65, gained fame as a member of the "SNL" cast, impersonating fellow Jersey native Sinatra as well as late-night host Dave Letterman. He also appeared in films and hosts a political talk radio show in New York and is a spokesman for the Boys and Girls Club. He says he would likely run as a Republican in 2017, but isn't ruling out jumping in as an independent after the June 6 primary. "I'm seriously looking at it," he said, promising to make a decision by January. "I love the people. I love the state. I know what has to be done." Piscopo has never campaigned for or held office, but considered running in 2004. What's different now? He said he feels emboldened by the against-all-odds victory of President-elect Donald Trump, whom he spoke for recently at a Florida rally. "When I saw Mr. Trump in Tampa and he invited me to speak, I saw it was contagious. It was the movement. It wasn't the machine," he said. If Piscopo ran, it could ratchet up the national attention on next year's contest and could also be a significant boost to Republicans who are in rough shape, thanks to Christie's record-low approval ratings. "I'm not saying you replicate the Trump formula, but money and partisan leaning are not in (Republicans') favor," said Montclair State University political science professor Brigid Harrison. "But this is upending the formula." Others are not so sure that Piscopo could raise enough cash to compete effectively. A high level of name identification among voters goes a long way but might not be enough, said Ben Dworkin, the director of the Rebovich Institute of New Jersey Politics. Dworkin cited the state's tendency to switch from one party to another between governors. "There's only one Donald Trump," he said. "Just because he did it doesn't mean the playbook will work again." Piscopo would be joining a field that includes Republican Assemblyman Jack Ciattarelli, Nutley Commissioner Steve Rogers (an adviser to Trump's campaign), and possibly Lt. Gov. Kim Guadagno. Assembly Minority Leader Jon Bramnick, who appeared alongside Piscopo at the charity event and joked that they could run as a ticket, is also considering a bid. On the Democratic side, Phil Murphy, a wealthy, one-time Goldman Sachs executive and Obama administration diplomat, is in strong position. Assemblyman John Wisniewski, who co-chaired the Legislature's investigation into the 2013 George Washington Bridge scandal, is also running.